PA chairman acknowledges Palestinian statehood not in the offing, says Netanyahu government has blocked establishment of Palestinian state. For the time being, Abbas continued, Israeli Prime Minister Binyamin Netanyahu’s government appears to have effectively blocked the establishment of a Palestinian state. 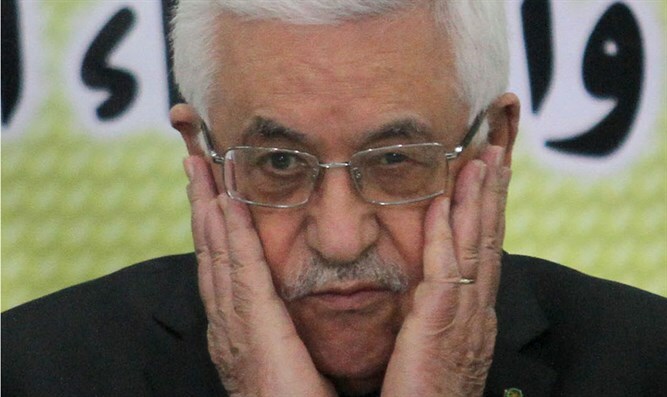 Despite his own insistence that the PA continue to fund Arab terrorists and their families, Abbas blamed the Netanyahu government for the lack of progress towards a final status agreement with Israel. Abbas recently pledged to continue funding Arab terrorists involved in attacks on Israeli civilians and security personnel, denouncing US demands the PA halt its support for jailed terrorists. "Israel and the US says that this is supporting terrorism...I will not back down on this issue. The families of the martyrs will continue to receive their allowances in full." Abbas said.